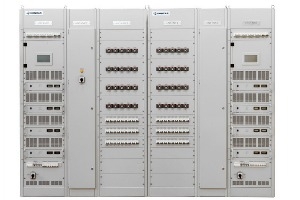 ﻿ Power supply for thermal power plants – KONČAR Elektronika i informatika d.d. For reliable operation of protection, monitoring and control in thermal power plants quality uninterrupted DC voltage is necessary. It can only be provided by power supply system which is appropriately, precisely designed, professionally manufactured, competently tested and professionally implemented in the plant. 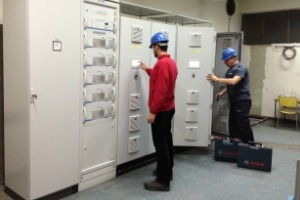 For the production of such power supply systems KONČAR uses only the highest quality components of renowned manufacturers (battery, special circuit breakers for DC distribution panels etc.). The numerous positive references from different thermal power plants confirm the soundness of the approach and practices. Thermal power plants are among those power facilities which should have the highest possible reliability of power supply because the possible damage caused by a power supply failure at a critical moment can surpass by far the price of power supply. 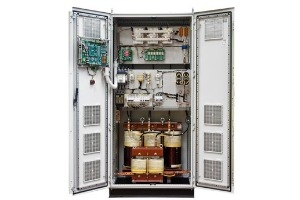 In older transmission SS due to deterioration, end-of- life time and various reconstructions and adaptation, power supply quality often does not meet the minimum criteria of reliability, endangering the proper operation and security of the entire facility.